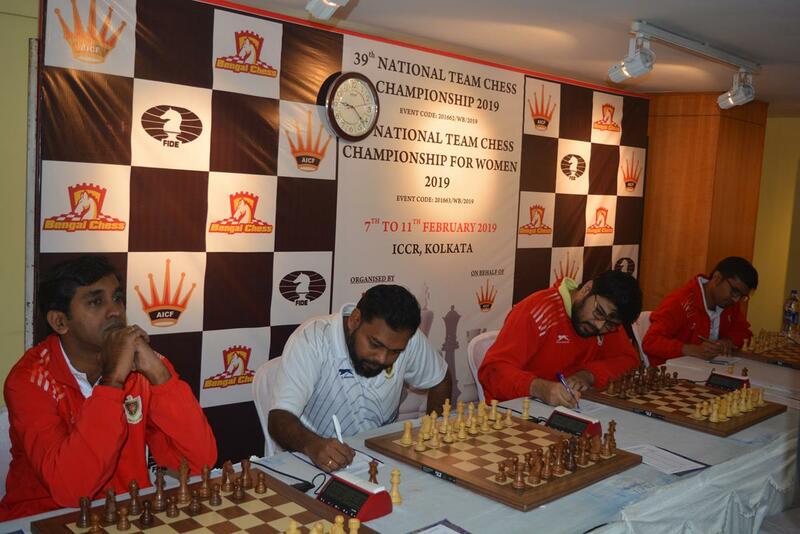 Kolkata (09 Feb 19) :- Second seed Airports Authority of India took sole lead with ten points at the end of fifth round matches of the 39th National Team Championship which is in progress at Indian Council for Cultural Relations here on Saturday. AAI registered a crucial victory over former champions and third seeded Railways ‘A’ with a score line of 2½ – 1½ in the fifth round battle. International Master Visakh N R produced the decisive result for AAI on fourth board as he outwitted Grandmaster Thejkumar with light colour pieces while other three boards ended with peace treaties. Top seed Petroleum Sports Promotion Board is occupying the lone second spot with nine points after a hard-earned victory over Odisha with narrowest margin. For PSPB, Grandmaster Surya Shekhar Ganguly provided the break through by beating Sidhant Mohapatra on top board while all other boards ended without decisive results. 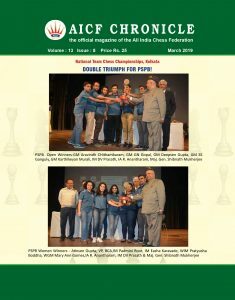 With eight points in the kitty, Air India and Alekhine Chess Club ‘A’ along with Railways ‘A’ are sharing the third spot in the point table. 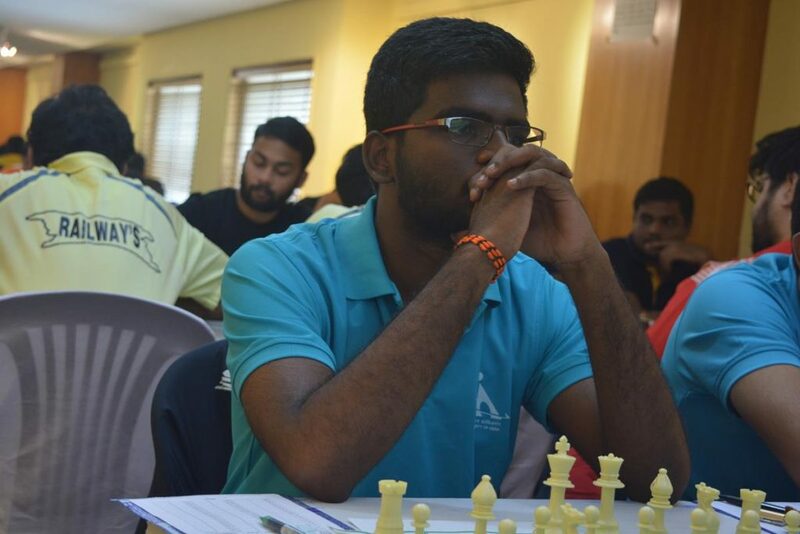 Air India drew with Railways ‘B’ while Alekhine Chess Club defeated Telangana in the fifth round encounter. Earlier in the fourth round, Air India held PSPB while Railways ‘A’ and Airports Authority of India got better off Telangana and Railway ‘B’ respectively. In the women section, top seeds PSPB emerged as sole leaders with perfect score after the fourth round matches. PSPB defeated second seed Air India with score line of 2½ – 1½. 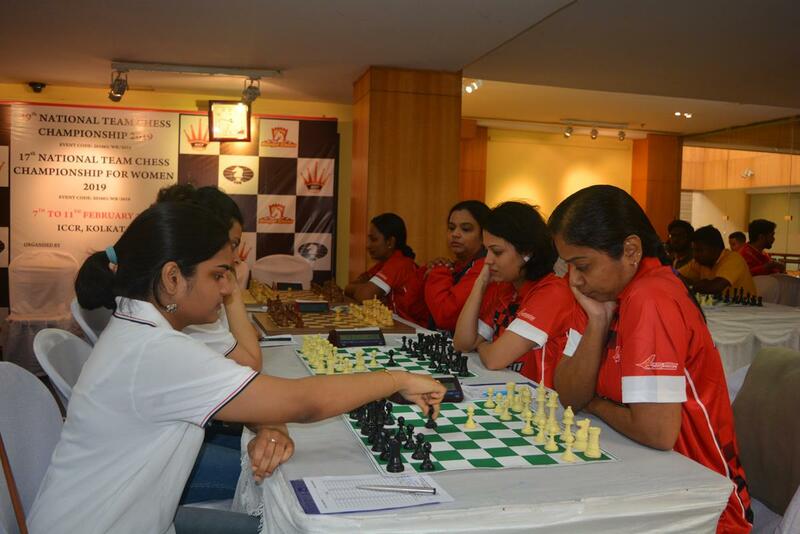 Top seeds registered favourable results on first and third board through Soumya Swaminathan and Padmini Rout. Soumya beat S Meenkashi and Padmini cracked the defences of national champion Bhakti Kulkarni while on second board Mary Ann Gomes tasted defeat by the hands of experienced S Vijayalakshmi. With score line reading 2–1 in favour of PSPB, young Pratyush Bodda held her nerve at the crucial moments to split the point with seasoned campaigner Aarathie Ramaswamy to sail the team to victory. With three more rounds remaining, Air India along with LIC, AAI and Bengal Tigresses are sharing the second spot in the point table with six points. Earlier in third round, PSPB beat AAI while Air India, Bengal Tigresses and LIC got better off Bihar, Rising Bengal and Uttar Pradesh respectively.